If anything in life is certain, it’s that things are always changing. We’re here to make sure you’re prepared for anything that life might throw your way. Whether you’re shopping for a new home or vehicle, getting married, saving for college, or planning your retirement, NorState Federal Credit Union can help you make the right financial decisions. Buying a new or used vehicle can be fun and exciting, especially when you’re confident about your decision. We have made it easy to find all the information you might need when choosing your new car or truck. Visit our Member Resources page to research prices and features of new and used vehicles, check a pre-owned vehicle’s history, and find out what your trade-in is worth before you go to the dealership. When you’re ready to buy that new car, truck, or RV, finance it through NorState FCU. We offer great low rates for new cars as well as other vehicles (including motorcycles, boats, snowmobiles, motor homes, or other RVs). Combine that with flexible repayment terms and you can’t go wrong with an auto/RV loan from NorState FCU. Whether you’re buying your first home or your dream home, we have a mortgage loan for you! Our mortgage professionals will take the time to explain your options and help you find the loan that works the best for your specific circumstances. Plus, you’ll find some of the best rates around! Already own a home? Refinance your loan from another financial institution at today’s low rates and save money every month. Or, cash in on your home’s equity with a Home Equity Line of Credit—you can use the cash to remodel a room, add a deck, landscape your yard, pay for college…the possibilities are endless! For those rising college costs, consider an Education IRA - you can save for tuition, books, housing, etc. and when it’s time to use that money, the disbursements are tax-free. Just in case college snuck up on you too soon and you didn’t get quite enough saved to cover the full expense, a Home Equity Line of Credit may be the answer. You can use the equity in your home to pay for that education and the interest you pay may be tax deductible! (Of course, you’ll want to consult your tax advisor for details) This also works great if you’re going back to school to finish a degree or pursue a different one. You may want to consider The Smart Option Student Loan by Sallie Mae. Now you can pay for college the smart way with three great repayment options and competitive interest rates! A Student Loan from the Finance Authority of Maine (FAME) to help subsidize your college tuition may be the answer. Our Alternative Education Loan may also help you with any unpaid college expenses. For more investment options or advice, please contact us. Getting married is an exciting and happy event, and the last thing you want to do is worry about money. From the wedding to the honeymoon to "happily ever after," NorState has everything you’ll need to make your lives easier. Planning the wedding (or honeymoon) of your dreams? Consider a low-rate Home Equity Line of Credit or Personal Loan to help cover those expenses. And since you’ll be doing a lot of shopping in a lot of different places, keep in mind the convenience of a VISA Check Card, VISA Reloadable Travel Card or Credit Card…from flowers to catering to travel, these options are convenient and are accepted anywhere VISA is accepted. Once you’ve settled into married life and you’re ready to buy that new automobile or home, we've got you covered there, too! We offer some of the best rates around on new and used auto loans, and our mortgage department is always ready to help you find the Home Loan that best fits your needs. It's always best to "hope for the best but plan for the worst." Opening a savings account at NorState FCU is the best way to start building a strong financial future. We offer a wide variety savings accounts, including IRAs and CDs. If things don't go as you planned, we also offer a variety of loans and credit cards to help pay for unexpected expenses. Making smart decisions through a divorce is essential to keep your financial situation in healthy order. Once you're a member, you're always a member. Even if you married into a NorState FCU membership, do not worry. We can help remove your spouse from your accounts or set up new accounts in your own name. We offer a variety of Checking and Savings Accounts with great rates and no or low fees. If you are relocating to a home or area, please let us know. If you are looking to buy or rent a new home, we can help. We offer great rates and flexible terms on both fixed and variable rate mortgages. Contact your local branch to see what options are available for you. It's important to watch your credit rating carefully during and after a divorce. After a divorce, joint loans are still the responsibility of both individuals. 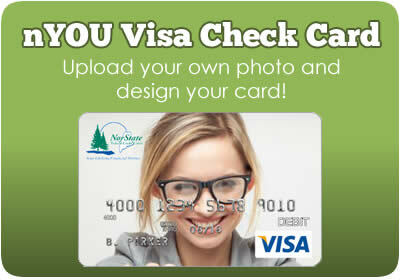 Setting up new NorState FCU credit card accounts is easy. No matter how many changes you go through in life,the one thing that doesn't have to change is your membership at NorState FCU. That means once you're a member, you're always a member! You can still enjoy all of your member benefits. If you are relocating, let us know and we will update your information. Avoid waiting in line to deposit your paycheck. 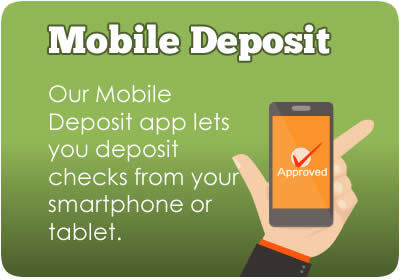 Ask us about Direct Deposit and have your paychecks deposited directly into your account! Need to keep a closer eye on your finances? With online and phone banking you can check balances, transfer funds, apply for a loan and much more! If you need financial assistance to help you through your transition, you might consider a Personal loan, Credit Card, or Home Equity Loan. Plus, the interest you pay may be tax deductible (consult your tax advisor for specific guidelines). 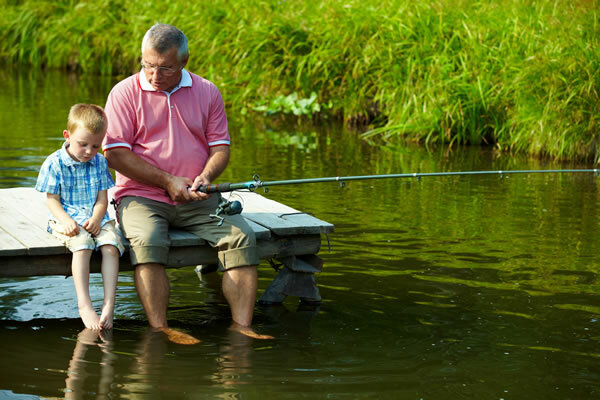 Retirement is a privilege you work your whole life to earn, and with a little planning, your retirement can be truly golden. Our Share Certificates are safe, have very competitive rates and are available with various maturities. For a safe, long-term savings account that also carries tax benefits, Traditional and Roth IRAs are a great way to earn competitive rates on your hard-earned money. For other long-term investment options, like stocks, bonds, annuities, and mutual funds, please contact us. 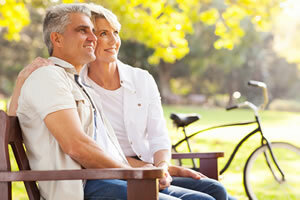 By planning now, you can retire in style! Planning for retirement? Learn more about our additional resources.